﻿ Cookies Hotel, Koh Chang | FROM $38 - SAVE ON AGODA! Have a question for Cookies Hotel? "It's at a great location and kept fairly clean." 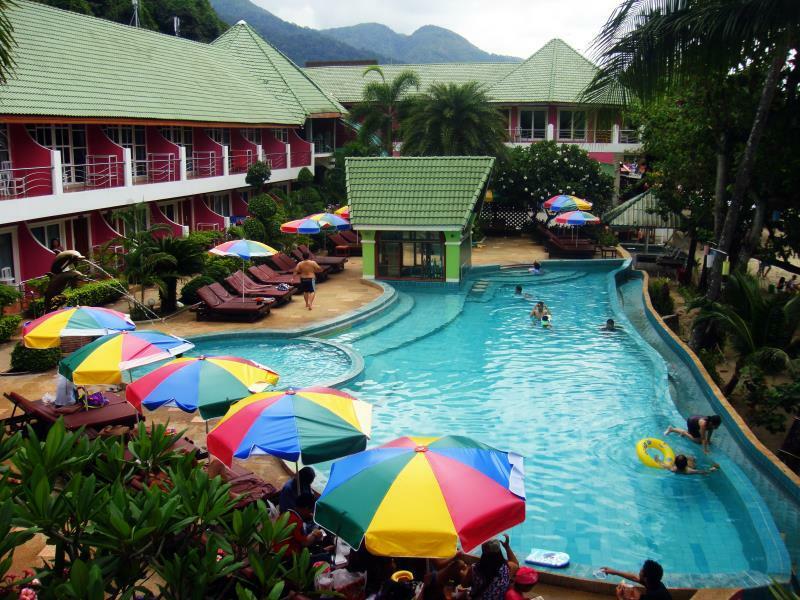 "An older resort but has all the basics and is a great location;"
"Friendly staff and good location." 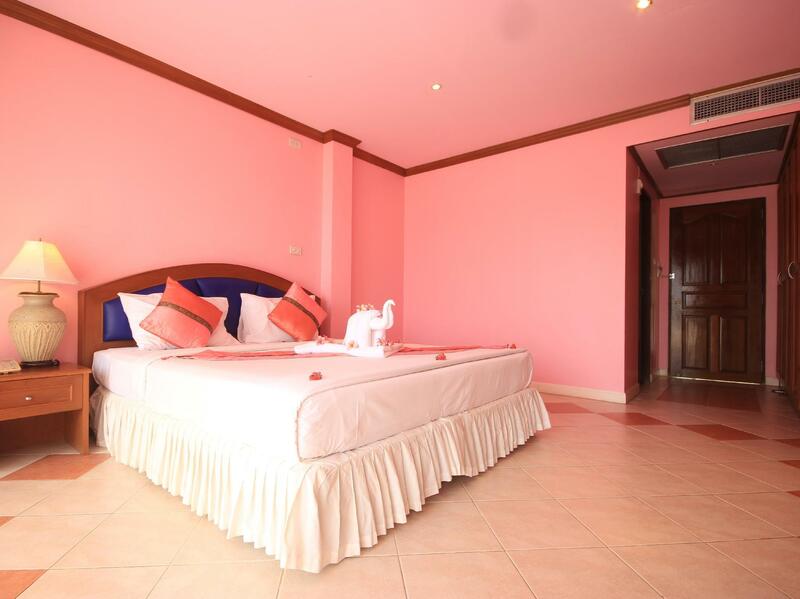 Well-placed in the beaches, restaurants, nightlife area of Koh Chang city, Cookies Hotel provides a most conducive spot for you to take a break from your busy days. Set from the excitement of the city, this 3-star hotel commands an excellent location and provides access to the city's biggest attractions. With the city's main attractions such as Parichart Spa & Massage, White Sand Beach, The Royal Spa within close reach, visitors to the hotel will just love its location. 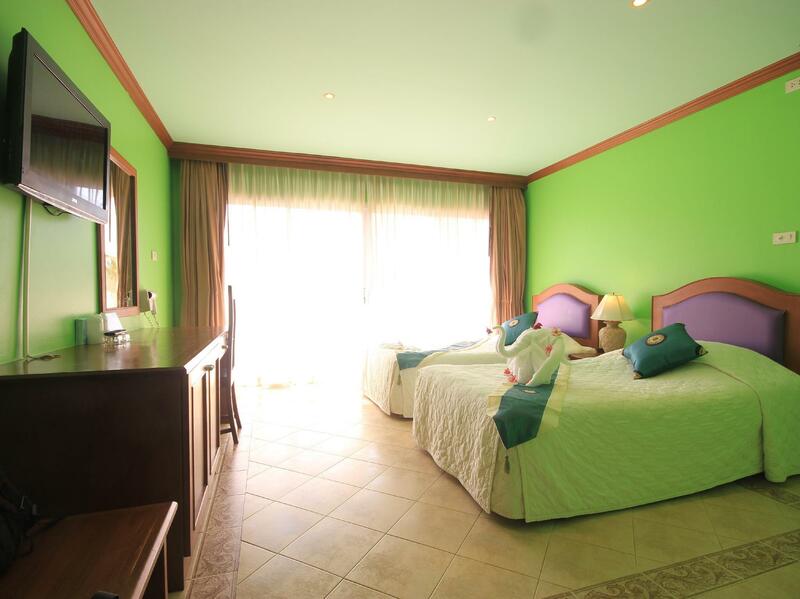 At Cookies Hotel, the excellent service and superior facilities make for an unforgettable stay. A selection of top-class facilities such as daily housekeeping, laundromat, taxi service, gift/souvenir shop, Wi-Fi in public areas can be enjoyed at the hotel. Step into one of 60 inviting rooms and escape the stresses of the day with a wide range of amenities such as television LCD/plasma screen, clothes rack, complimentary instant coffee, complimentary tea, fireplace which can be found in some rooms. Throughout the day you can enjoy the relaxing atmosphere of the snorkeling, outdoor pool, diving, fishing, massage. 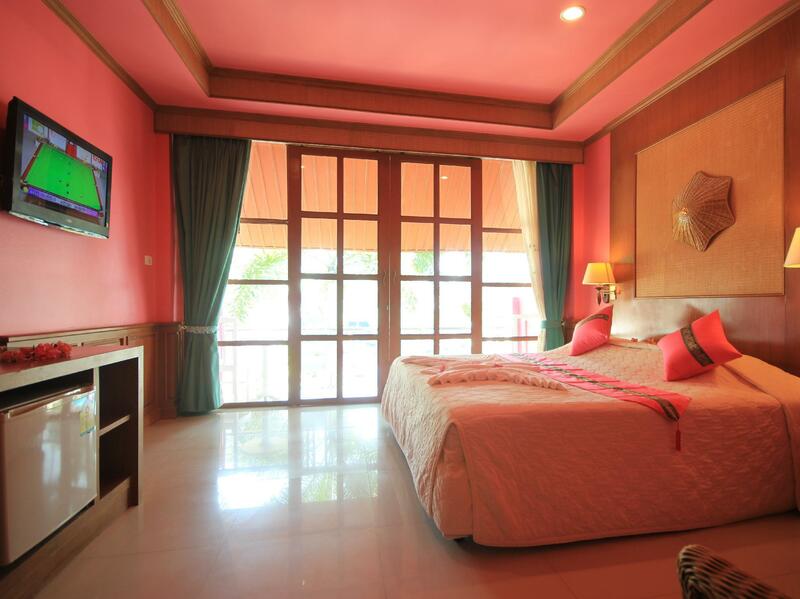 When you are looking for comfortable and convenient accommodations in Koh Chang, make Cookies Hotel your home away from home. Quite basic, not luxourious but a very nicely run hotel. Great location, if booking on the sea view side the lovely beach is just a a few metres away and the road is also just a few metres away. The staff are very very friendly. A fridge is provided for your own stocking up and there are convenient shops closeby. Only breakfast is avialable in the restaurant but there are lots of restaurants nearby and there is s line of food stalls nearby if choosing to eat on the balcony. Really good place and that is why I am on my seventh or eighth visit here! Rooms on the sea view side are a few metres from the pool, 15 metres from the fabulous beach and 15 metres from the roadside where there are lots of restaurants and small shops. Good​ Hotel​ that​ could​ do​ with​ some​ maintenence.​ Tv, air con​, balcony, kettle, fridge, swimming​pool, beach front (deluxe room), A​ few​ Ants​ in​ the​ room, but​ whos​ complaining, its​ a​ jungle​ island, breakfast boring but​ i​like​ to​ eat out anyways, All​ good. Hotel is located in vibration area, you dont need to be afraid that you cannot find a restaurant or street food for any meal and convenient store is just 50m from the hotel. The beach is clean, but no rubbish at all. The swimming pool is small but clean. Breakfast is normal. I have stayed at Cookies many times and would recommend it for value, location, close proximity to pool, next to the beach and close proximity to transport and shops. It is important though to choose beach side and not hill side. The rooms are fairly basic and the hotel is a bit aged. Our selection of room is Deluxe Double with sea view, a perfect choice if you like to have relaxing moments on the balcony. Breakfast is good but with less selections compared to other 3star hotel. Beach towels free to use. Jacuzzi functions in the room bathtub. Will definitely re-book at next Koh Chang trip. An older resort but has all the basics and is a great location; on the beach but also on the road. The hotel has two parts, one across the road ( and therefore good for touring the island) and one on the beach-side. The latter is a must for staying here. Many other resorts and restaurants close by. This is my second stay at cookies. The hotel is a bit dated and could do with a refurb but for the price and location I think it's great. Breakfast is a bit of a let down well the coffee anyway. We will definitely stay here again. Been to Cookies four times now. Basic small low built hotel on the beach and on the hillside. Be sure to book beachside. Rooms a few metres from the pool (good pool for children) and just a few metres from a lovely beach. Not "luxurious" but good location and excellent value. overall it was a nice experience staying in cookies hotel. the place is centrally located and just beside a famous bar with fire show just by the beach. you can even view the show from your hotel. friendly staff and the room is clean with good aircon temperature. you can book your tour to explore koh chang just at the hotel lobby. maybe the only cons I had in this hotel is the water temperature for bathing. no matter how I set the temp, I think there is only 2 settings. extreme hot or cold. there is no medium temperature. maybe the good hotel staff can look into this issue. overall I will recommend this hotel to my fren and I will stay in this hotel again. Not a luxury hotel but friendly and casual. Great location and great value. Would recommend. The Hotel is exactly opposite the the beach if you take the beach side. There are two parts of the hotel- beach side and hill side. 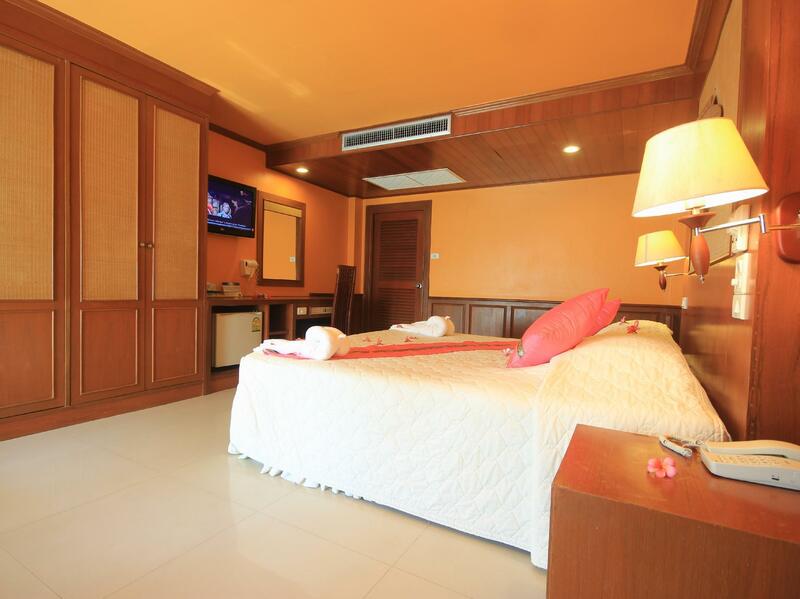 Its better if you opt for the Beach side as the cost difference is not much and the view from these rooms are awesome and all of these are pool+beach facing. Breakfast was good. The wifi was not so good but that should not be a concern for anyeone while choosing any hotel(My past exp says all hotels have bad wifi). The cleanliness of the rooms could have been better but i still say it was not bad at all.Additionally for anyone who likes Indian Food, there is a restaurant just opposite to this hotel which server really tasty Indian cuisines. Recommended for anyone who wants to stay in Koh-Chang at White Sand beach. Enjoy! First time in Koh Chang. The view and room was great for 3 stars. Room was opposite pool. Beautiful view. Down fall was shower. Bathtub with shower inside bath. The nozzle reached my chest and I'm 5ft so have to lift nozzle all the time. Water was just warm. Brekky was ok compare to other hotels we have stayed in, but adequate enough to start your day. My hubby enjoyed brekky. Staff were always polite and nothing was to much trouble if we asked for something. We would definitely come back to Koh Chang.